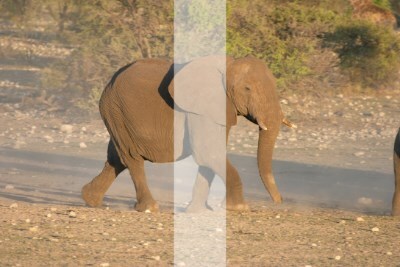 uMark lets you add proportional watermarks that are sized based on the size of the photo being watermarked. If you add a fixed size watermark, be it text or image watermark, the size of the watermark will be the same on all photos whether they are large or small. 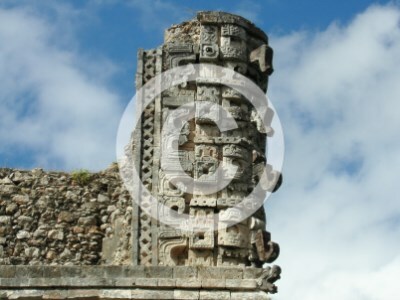 For proportional watermarks, the size of the watermark is calculated based on the dimensions of the photo being watermarked. Here's how you can use proportional watermarks. Text watermark is the most common type of watermark. When you add a new text watermark you can set it's size to be fixed or proportional. Proportional is the default choice. When you select proportional size, the height of the text is calculated automatically based on the height of the photo you want to watermark. When you select proportional size, you need to specify the font size in percentage as opposed to pixels in fixed size. 7% is the default value which we have found to be the best, but you can change the value to any number and see the result in preview. When you set this proportional size, you will see a larger font size on a a large photo and smaller font size on a smaller photo. When you are using a an image or a logo for watermark, you can set it's size to be proportional as well so it adjusts as per the size of the underlying image. In order to resize the image you need to select the Resize option on the image watermark properties window. Below that there are two options - proportional and fixed. You need to select the proportional option. You can choose to resize your image watermark based on the width or height of the photo. For example, if you photo is 800x600 px and you select the logo to be sized at 25% of the width of the photo, then your logo's width will be set at 200 px and it's height will be calculated accordingly. If you set the height to be 25% then the height of the logo will be set at 150 px and its height will be calculated in proportion to the width x height ratio of the logo, so that the logo image does not get distorted. The shape watermarks can also be set to proportional to the size of the photo. You can set the width and height of the shape in either pixels of percentages. When you select the percentage option, the shape watermark will be sized accordingly to the size of the photo being watermarked. You can set either width or height to be proportional or both. Say for example you want to add a vertical white bar as watermark in the middle of the image then you can set it's width to be fixed at some pixel value and set the height to 100%. With proportional watermarks you don't have to worry about your photos having too big of a watermark or too little. Previous - Stolen photo wins photo contest!